From living across the street from a premier Quarter Horse ranch, McCloud Quarter Horses as a young boy in Minnesota to building his own Quarter Horse ranch as an adult, Patrick Husting, software developer, Internet entrepreneur and horseman is on a journey to give back to the horse world by introducing a full featured digital horse care and community app named The Equestrian. 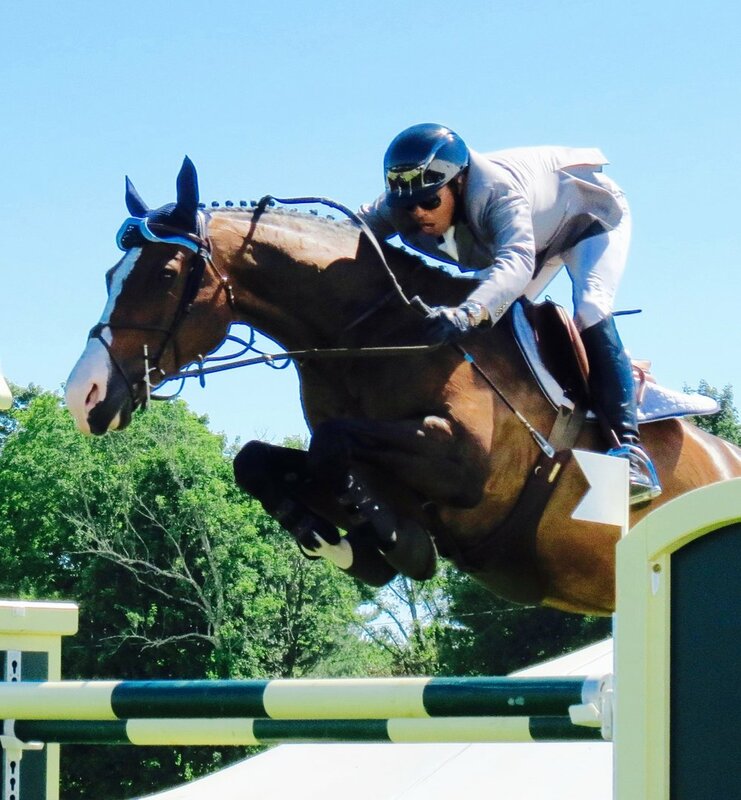 “I’ve had a very rewarding career with creating and building businesses in the tech space to now afford to live a balanced and horse-filled life,” said Husting in a recent phone interview with The Tech Equestrian. His passion and enthusiasm for horses was apparent from the minute the interview started. “I told my wife, when we built our new house that I wanted to build a barn and proceeded to spend a year shopping for horses,” explained Husting. He compares horse buying to ‘buying a used car from the worst used car salesperson in your life’ and he relied on his high standards to select three Quarter Horses from three different states, Washington, Idaho and Oregon. Finding no horse apps on the market that suited his needs of managing records, time and training, Husting got to work on creating his own. “I’ve worked in the software industry for many years including a time at Microsoft where I learned to code and to write apps.” It was his experience at horse shows when people would see him taking notes on his phone and asked if he could share his invention that he knew the time was right to go public. The app launched in May of this year. “I had a user target in mind and after 10 weeks, I blew through those numbers of people downloading the app,” he said. “Initially the focus was on the horse owner and what they needed to stay organized and now it has grown to connecting all of the service providers critical to horse health, care and maintenance,” he added. There are your basic features that include the ability to record all the health records, stall management, boarding needs, training and activities of your horse available in the app. The second big feature is connecting users to a community of professionals that can service the horse, including caretakers and trainers. Third, is the journaling aspect, which is ideal for referencing historical data and detail on your horse(s). Lastly, The Equestrian app will make it easier to follow and connect with people with a handy ‘group barn chat’ and built-in security features from ‘public’ to ‘private’ posts that manage access to your messages. The app delivers an easy interface and plenty of functionality to help equestrians stay connected and organized. Next on the roadmap is a focus on practitioners and a sale barn to help reduce the time it takes to locate your dream horse. “I encourage 100% feedback on the app and trust me the list of updates is now two year’s long,” Husting chuckled. The sale barn is an exciting development and will be similar to the website ‘Carfax’ that provides potential buyers with photos and a history of the vehicle. “My goal is to add new features every month.” However, based on his business acumen, he is all about creating an environment that provides ‘simple, easy access’ and that less is more. “If you do it right, then the community tells you what it needs.” Next months release will be a stunning profile page of who you are, your horses and your public posts. This will allow others to find and connect easier. Husting thinks there is a slow uptake in the equestrian world when it comes to technology, however he feels that in 5 years from now, “My app will still be there providing more personal connections and success around caring for our horses.” He will continue to add features through a constant drip, checking in routinely to make sure users are satisfied and retire functions that aren’t being used. The utopia is to provide more connections and more awareness in the equestrian community. “I like the heartbeat of the equestrian community,” he said with purpose.